Global economics has seen considerable growth in recent years. Along with this, each important industry sector has had to face serious changes, upgrades, and improvements. The leading electronics companies follow their own standards during product development, which leaves practically no room for customization. However, every end user has their own needs and requirements, and a hardware solution needs to meet them in order to effectively occupy its niche in the market. This type of discrepancy caused the active development of FPGA prototyping. The field-programmable gate array (FPGA) extends user opportunities and improves electronic device functionality. At the same time, FPGA is full of challenges a user should be aware of. In the 1980s, a great demand for devices for system prototyping appeared. Building and testing the latest ASIC and SoC designs required a special approach and methodology with powerful configurable logic. The size and complexity of these designs have never stopped growing and improving, so the prototyping system has had to follow the innovations and provide the equivalent gate counts. The old generations of FPGA required numerous devices to fully handle a complex design. Today, FPGAs consist of millions of gates and can implement a design using a single device. It enables a readymade, fully-functioning system to be introduced to the market faster than any other existing solution. For example, an operating system during early FPGA prototyping can be launched at full speed. Conversely, the same OS running on an emulator may take literally hours to explore the structure. Prototyping is a way to implement the iterative principle in your development process. This approach enables a deeper understanding of software and hardware system interactions. Consequently, you get an opportunity to improve the original system. A project requires quick changes. Modern designs require more and more capacity to run effectively. Software-only simulations are often unable to meet these needs and demonstrate high performance. In this case, prototyping is the best solution there is. The FPGA-based solution enables integration and testing tasks to be fulfilled before the silicon solution is available. A prototype helps to integrate an OS, test an application, and make sure the IP components work seamlessly together. FPGA prototyping is the best way to show your customers how the solution will actually look and perform. With a high-quality demonstration system, they will be confident about the tool they are investing in. A single FPGA prototype is not a one-fits-all solution. Most designs require partitioning across several devices, but there is no proper software for automatic partitioning, so this task must be fulfilled manually. We have to say, it is a rather time-consuming and boring task. Besides, amazing interconnectivity is required. A pin-multiplexing scheme may help to overcome this challenge, but one should also note that design partitioning turns logical connections into a network of physical ones when it comes to the register-transfer level. In order to deliver a powerful solution, the development team should consist of really experienced and skilled engineers. It is also impossible to get a great solution without advanced tech and cutting-edge tools. 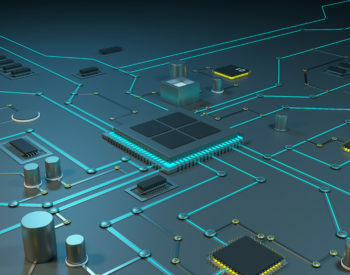 A solution should demonstrate a high level of connectivity: operating with thousands of pins and signals is required. Mapping a design to a prototype is a hard task, too. And a variety of design issues may be caused by physical, design or mapping errors. So, the FPGA engineering process may add a couple of months to the project timeline. Time-consuming process of changing probes. These the points negatively affect the entire project debugging activity. An end user expects an FPGA prototype to demonstrate excellent performance. Unfortunately, the performance may be poor due to physical characteristics. Signal routing, capacity, impedance, etc. may slow down the prototype. Partitioning, pin multiplexing, etc. may also have an impact on performance. So many influential factors make it hard to build a really fast prototype. Engineers must implement best design practices to reach the expected level of performance. If you have used a prototype in the past, you can imagine how great it would be to be able to reuse it over and over again. Reusability can decrease development time and eliminate implementation risks. However, if the system you work on grows, it may not fit the prototype in future. The FPGA prototype supports one and only one external system interface. And you cannot use it again for an interface that differs from the initial one. The popularity of ready-made solutions has risen significantly over the last few years. And this is perfectly reasonable: they provide stable environments for design and full control over the system. A system needs memory. Without a good level of capacity, you can never build a competitive prototype. Scalability allows varying capacity and memory. It also enables adding new components and developing the functionality further. If you need to get copies of your freshly-made design quickly, scalability can help with that, too. Working with complex designs, your must-have is an automation partitioning tool. This tool should optimize I/O, deal with pin multiplexing, and increase performance. The hardware architecture is related to the partitioning algorithm, so look for a solution that combines those two aspects. Beside this, you also have to pay attention to debugging. A tool for setting up the probes and tracking signals would be helpful here. Transactors are the bridges between different abstraction levels of the system. AXI bus protocol or SCE-MI transaction protocol can play this role, for example. Transactors are used for functionality extension. With these components, you can explore the architecture you work with, integrate the system with visual prototypes, and test your solution. Deployment of multiple projects is only possible if you have a reliable remote management solution. In this case, no matter where the prototype resources are located and who uses them, you can easily reconfigure the system from anywhere in the world. As we have already defined it above, reusability is a critical issue a powerful FPGA prototype must overcome. This feature can make the prototype more useful and accelerate the development process. And, importantly, the reusability feature can also help decrease costs. Your hardware platform should feature a protection mechanism. This should properly measure and react to problems with the current, voltage, temperature, etc. In looking for an FPGA solution, you should take into account all the challenges it currently faces and the ways to overcome them. Manufacturers offer dozens of high-quality tools. 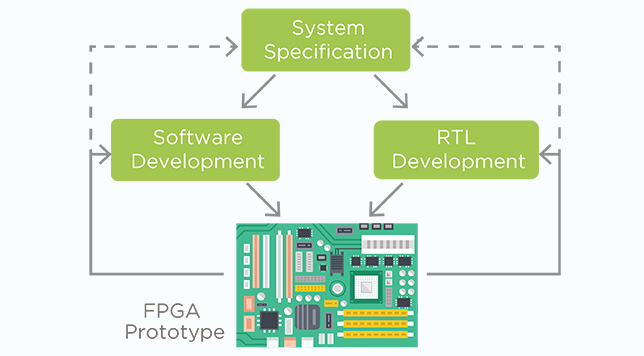 The point is to analyze the existing tools, compare their features, and decide on the best option for rapid FPGA prototyping. If you need any additional advice on this topic, just drop us a line. Let’s find a brilliant solution for you together!